create its own wireless access point when Wi-Fi isn’t available or not in range, further enabling quick and convenient connectivity with portable smart devices. through the use of the included Pioneer rekordbox® music management software. For added convenience and expandability, the system is equipped with audio ports for connecting other sources such as Pioneer CDJ players, and can even be used as a standalone 2-channel mixer. For creative music playback and unique mixing capabilities, the system offers a new built-in jog control, audio effects and more. Roll can be added to currently playing music. popular Sound Color Filter which can be added to music at any time. cross-fade4 or fade-in/fade-out effects. For added convenience, the system also lets users record their mixes directly onto a USB storage device in WAV format. low-profile jog platter and control buttons. The XDJ-AERO will be available in August with a suggested retail price of $1,399. 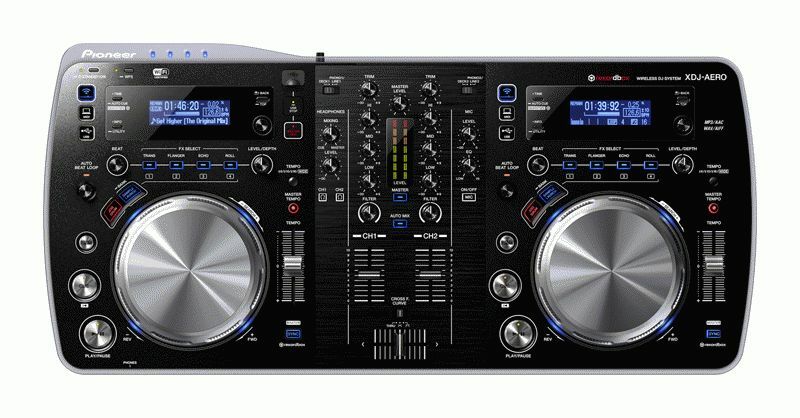 For additional information and product specifications on the XDJ-AERO, log onto www.pioneerelectronics.com/PUSA/DJ.